GWATA is pleased to announce the appointment of Stacy Luckensmeyer as the President of its Board of Directors effective January 1, 2019. Stacy steps into this role after Ron Brown, who was President 2016-2018. Stacy has been on GWATA’s Executive Board since 2015, first serving a year as Board Treasurer then as the Board Vice President from 2016-2018. Stacy is the Business and Industry Liaison for Wenatchee Valley College and oversees the Center for Entrepreneurship. She has been with the College for more than 8 years and has held her current position since 2013. The Board also appointed 8 new board directors and advisors. GWATA’s newest Directors include: Brian Beaumont, Subsplash; Wendy Dalpez, The Entrepreneur’s Source; Ryan Smolinsky, Overcast Law Office; and, Barbara Walters, North Central Regional Library. 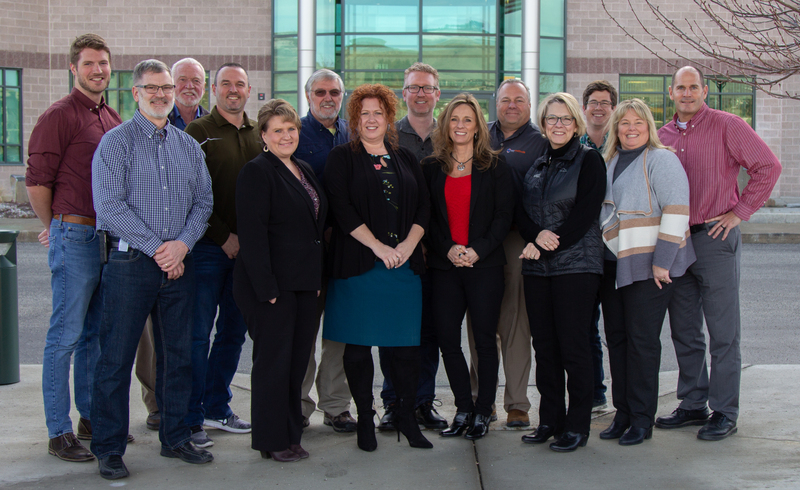 GWATA’s newest Advisors include: Cheri Dudek-Kuhn, Orchard Corset; Brenda Mandelis, LocalTel Communications; Steve King, City of Wenatchee; and Amy Smith, Numerica Credit Union. “With such a strong board and our very talented executive director and staff, we look forward to connecting with our region even more and continuing to meet the needs for which your Technology Alliance is uniquely positioned,” Luckensmeyer added. On January 30, the community is invited to join GWATA for an evening of networking, libations, and new connections at the 2019 Kick Off Party. This is a great opportunity to connect and engage while learning about GWATA’s events and resources this upcoming year. Hosted at the LocalTel Event Center inside of Pybus Market, the event will serve as GWATA’s annual meeting with a short report from GWATA’s President. Through a generous sponsorship by Noel Communications tickets are only $10 for GWATA members and $20 for non-members. Visit www.gwata.org for more information.